From the first Modernist exhibitions in the late 1890s to the Soviet rupture with the West in the mid-1930s, Russian artists and writers came into wide contact with modern European art and ideas. 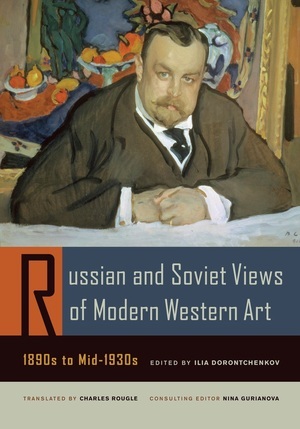 Introducing a wealth of little-known material set in an illuminating interpretive context, this sourcebook presents Russian and Soviet views of Western art during this critical period of cultural transformation. The writings document complex responses to these works and ideas before the Russians lost contact with them almost entirely. Many of these writings have been unavailable to foreign readers and, until recently, were not widely known even to Russian scholars. Both an important reference and a valuable resource for classrooms, the book includes an introductory essay and shorter introductions to the individual sections. Ilia Dorontchenkov is Professor at the Petersburg Academy of Fine Arts and at the European University in St. Petersburg, Russia. He has also taught in the Department of Slavic Languages at Brown University.